But when there are gray day & I still need to be out and about- I turn to my favorite monogram shop- Marley Lilly! 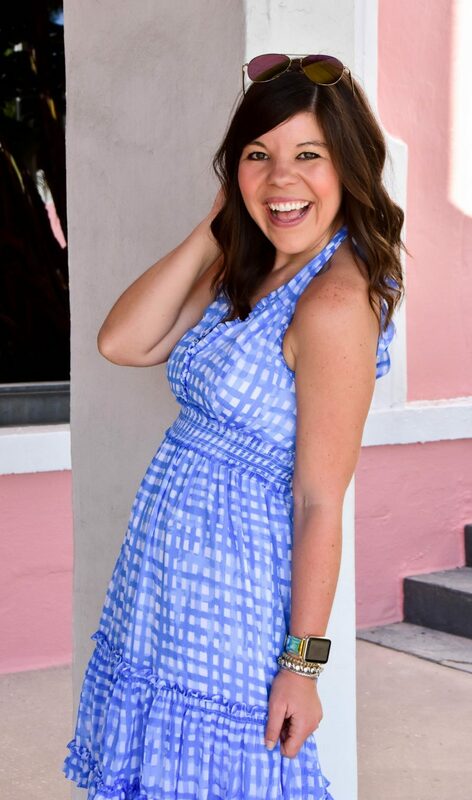 Did you know they Marley Lilly creates their own custom pieces with the cutest monogram detailing? You know I’m smitten over personal touches! 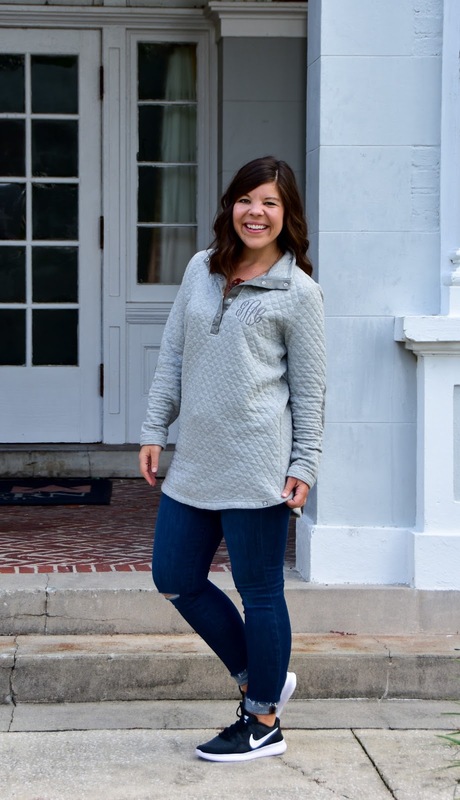 As the temperatures continue to drop, I know I will be reaching for this pullover more & more…. because let’s just all agree that fall is ALL about the snuggles! Oh and I just have to tell y’all about my new Nike’s! 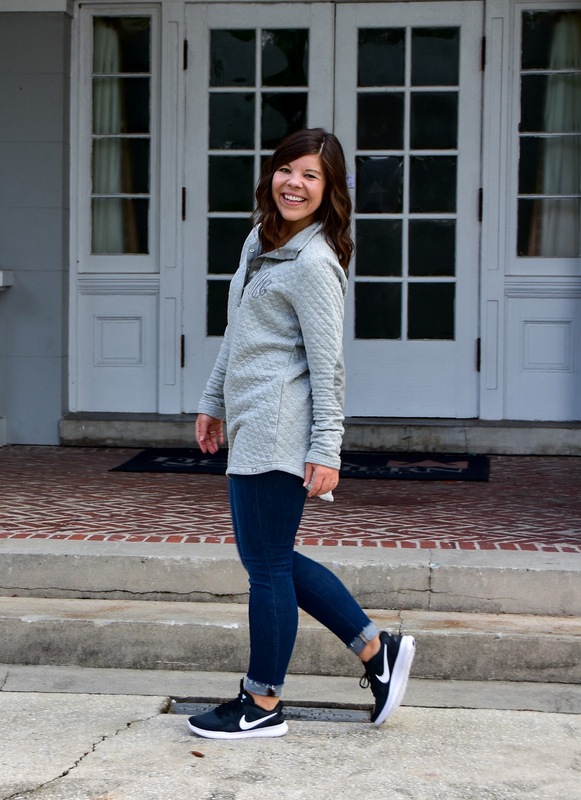 I’m pretty sure this is the first time you’ve ever seen me in tennis shoes on the blog- but when they are this comfortable I had to share them with you! 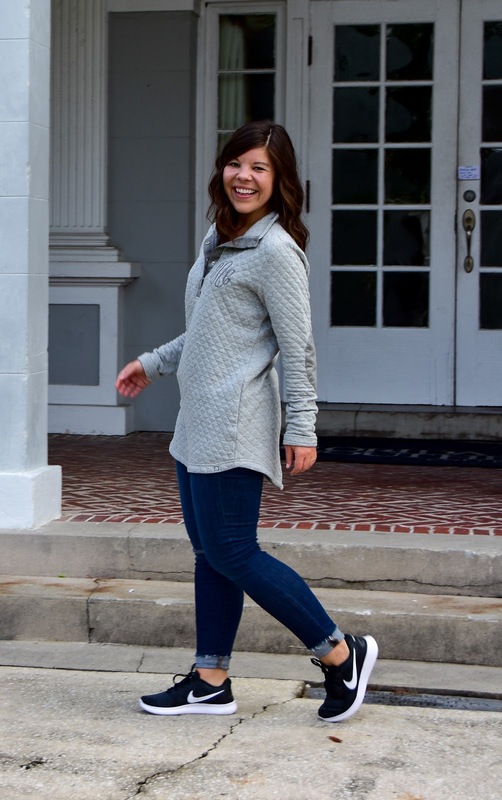 I’m totally a fan of the athleisure trend (who isn’t?!) and these shoes just added some “street red” to my outfit! Best part? They are under $100! I’m working really hard to plan out content for the rest of the week, but I’m headed to LA on Thursday night and I still haven’t started packing! Any things I need to see/do/eat while I am out there? Let me know! Have a great Wednesday- we’re halfway there! This is the cutest pullover! I love the monogram and the quilting detail. This will be so perfect when the temps cool off. I love this pullover! Great casual look! What a darling sweater!! I love the elbow patches. Marley Lilly has such cute pieces, I have a couple myself. 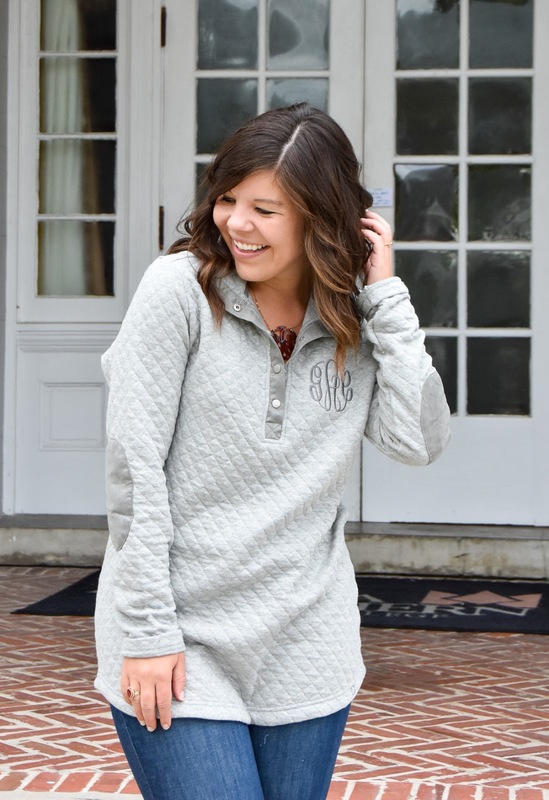 Quilted and monogrammed ?! I am so in 🙂 this is sooo pretty. looks like such a comfy top!! 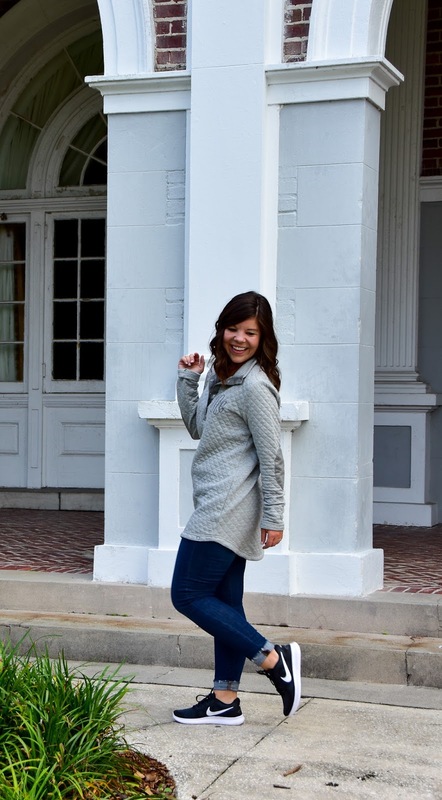 how cute and classic this top is!! 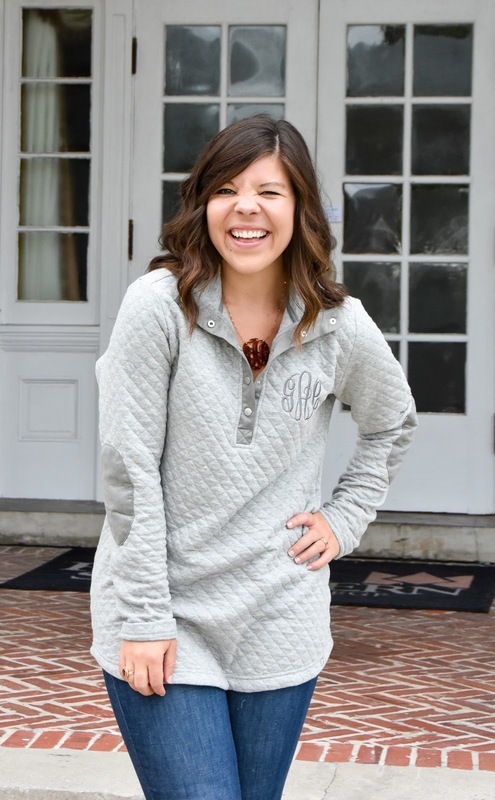 anything monogramed –i love–happy monday, gentry! Simply stylish and the top looks super comfy! I love this look, that pullover is so adorable! I love the color and the stitching! 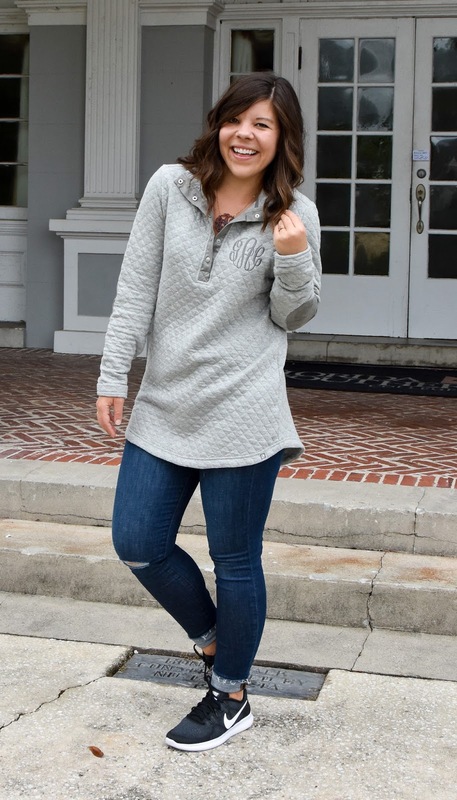 I love both the monogram and the quilted detail on the top! So cute and cozy! 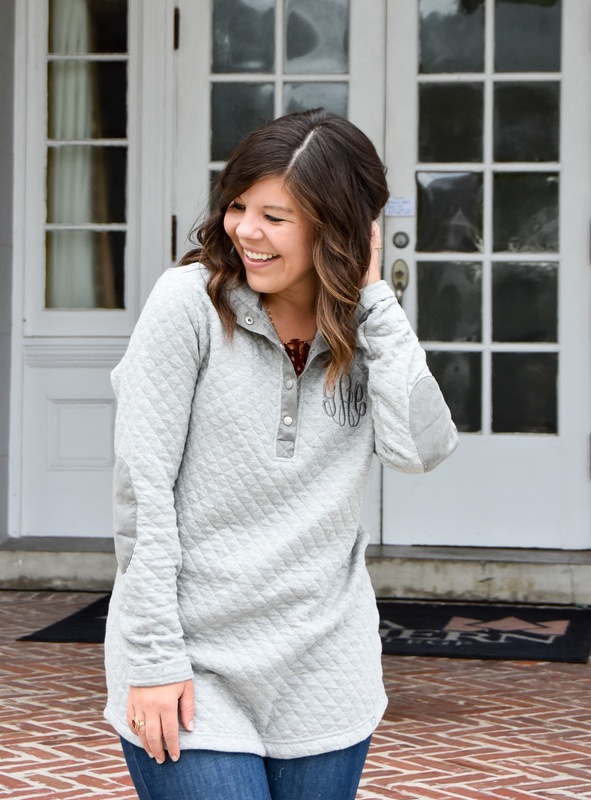 Adorable pullover! I ordered monogrammed tees for my best friends bachelorette party from Marley Lilly, they were so cute!